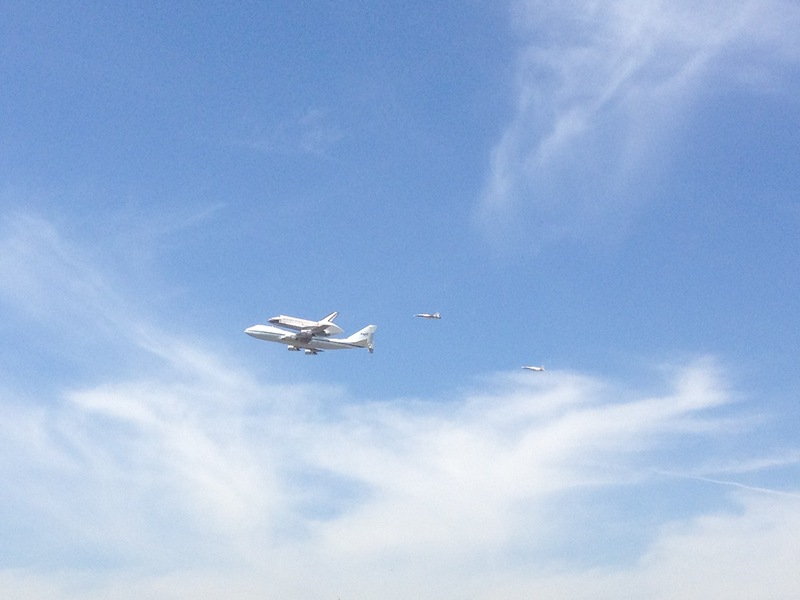 On Friday, September 21 at 11:59 AM, the Space Shuttle Endeavor flew over Los Angeles and the campus of the University of Southern California. It was completing it’s 26th mission atop a Boeing 747 with a flyover of locations where workers had designed the spacecraft, built and assembled parts, and tracked it’s 25 earth orbit missions. On that morning, in LA, Endeavor was the Hollywood star as thousands stood on rooftops to catch a glimpse of the final flight. 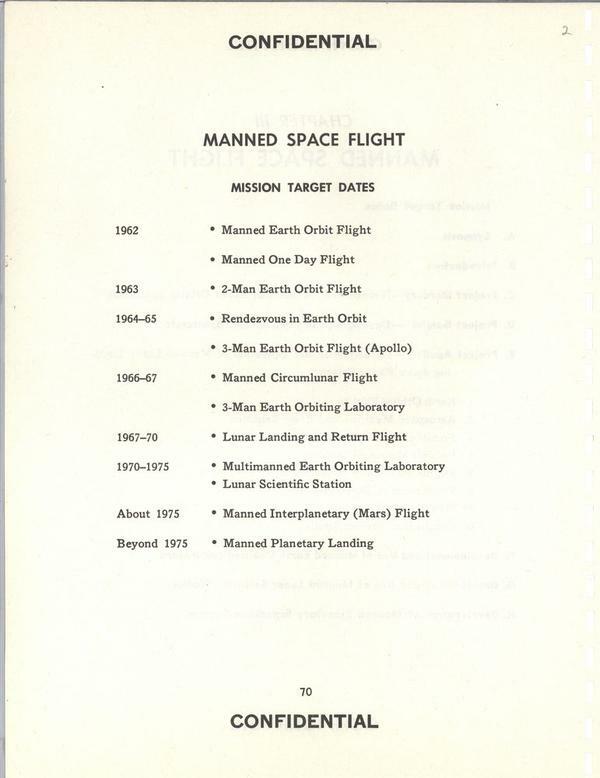 On Wednesday the U.S. National Archives tweeted a copy of President John F. Kennedy’s confidential spaceflight schedule. Once we had arrived at the moon, the plan was to begin construction of a vehicle to travel to Mars by 1975. What happened? The author’s story is shared through the lens of a family of workers at the Kennedy Space Center in Florida. It’s a connection that began with an email about her first novel, continued on Facebook and provided access to facilities and events at the center. As the shuttle program is coming to an end, these employees retain their optimism, as colleagues are being laid off. With the end of the shuttle program NASA has disconnected from its institutional memory, the bridge to transfer knowledge to the next generation of space architects and engineers. Ms. Dean is an associate professor at the University of Tennessee in Knoxville. One of the more interesting sections of the book chronicles her interactions with her students about the history of spaceflight and her adventures to view the last three shuttle launches. These conversations reveal another disconnect; a loss of our historical memory of spaceflight. She was a teenager when the Challenger exploded, and missed the early years of the space program and competition with the USSR to be the first to the moon. But she fills the gap with the words of writers who witnessed the historic events. In recent weeks there seems to be an uptick in the discussion of space travel. The movie ‘The Martian’ has reignited a conversation about travel to Mars. The filmmakers worked closely with NASA to ensure credibility in the storytelling. Jeff Bezos is moving his space exploration company, Blue Origin, to Florida where he will operate manufacturing and testing centers as well as launch rockets from Cape Canaveral’s Complex 36. Elon Musk’s SpaceX continues to design, manufacture and launch advanced rockets and spacecraft with a goal to send people to other planets. The workplace of space is evolving. ‘Leaving Orbit’ is required reading to reclaim our history and institutional memory.